First semester is finished and I celebrated by taking a week-long getaway to the food and fashion capital of Australia, Melbourne! 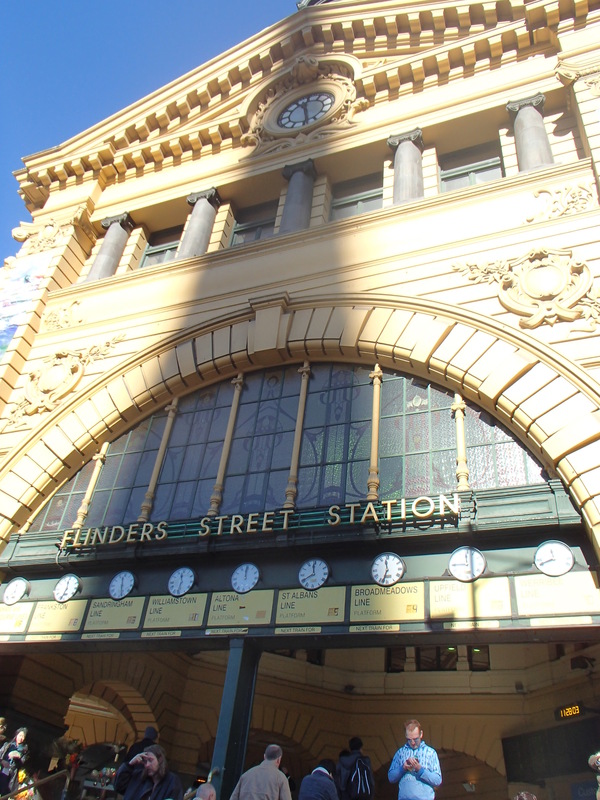 It would be impossible to write about all that Melbourne has to offer in one post so I will share my itinerary and touch on a few the highlights (even though everything was a highlight in my book). Zuchhini Omelette with cherry tomatoes, crab, and fennel remoulade. 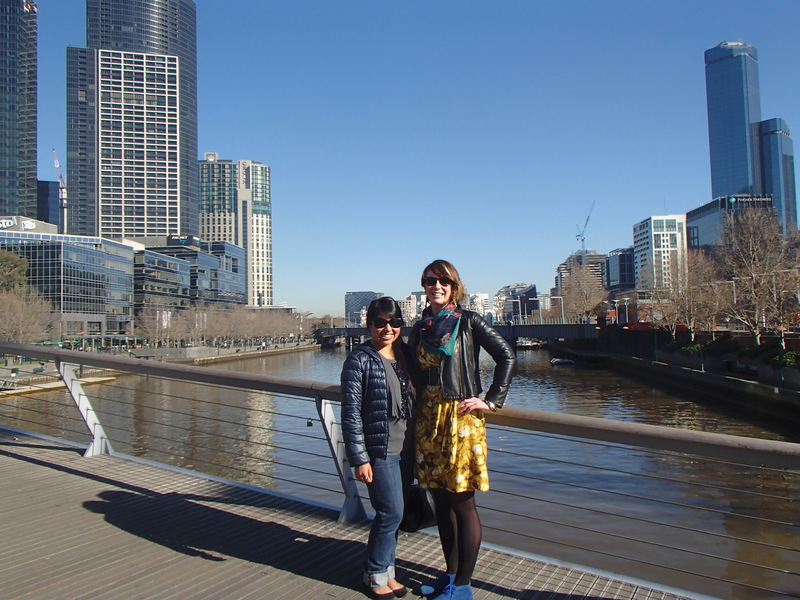 Mayumi met me when I landed in Melbourne! Kumamoto JET Reunion at Robot Bar! Ume shu and Yuzu shu was had. Oishii! We shut this bar down! 12 Apostles- Created by constant erosion of the limestone cliffs of the mainland beginning millions and millions of years ago, the stormy Southern Ocean and blasting winds gradually eroded the softer limestone, forming caves in the cliffs. Wednesday, June 26- Spend the day with 3 dear Japan-connected friends, Jess, Mayumi, and Keith and sightsee at Southgate , Princes Bridge, etc. Thursday, June 27- HUGE Sightseeing Day: Eureka Skydeck, The Crown Melbourne Casino, Degraves/Flinders Street, Shrine of Remembrance, Queen Victoria Gardens, Federation Square, National Gallery of Victoria (NGV), Australian Centre for the Moving Image (ACMI), and more. Saturday, June 29- Queen Victoria Market, Hosier Lane, and Jess’s Bday Bash! Delicious Greek cuisine at Spitiko! I went went gelato in the end! Parfait, croissant, and sweet mix. Now that I’ve covered my itinerary and foodie recommendations, you’re probably ready for me to wrap it up! What other highlights need mentioning?I had a great time and Jess told me that I brought Queensland’s warm weather to Melbourne. I was really fortunate because the weather was fantastic while I was visiting. 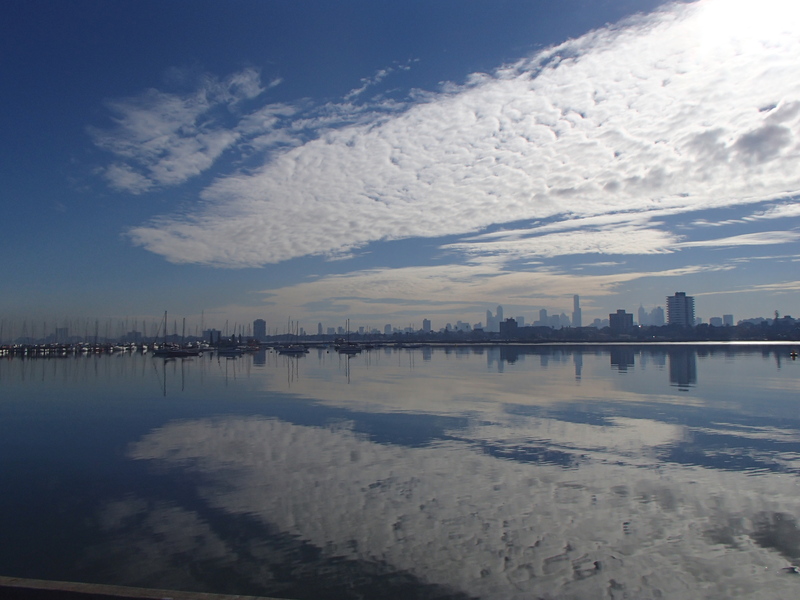 Melbourne is known for having unpredictable and crazy weather. The saying goes that you can go through four seasons in one day. Sachi and Keith got a few goodies too. Love having night caps together. No matter where I go, my favorite part is always meeting up with dear friends. Mayumi, Keith, Sachi, and I all went to Kansai Gaidai University together so it had been nearly eight years since we had last met. Mayumi was the sweetest and let me stay with her. We had such a great time catching up and remembering our good ole KGU days. We went shopping together and I was lucky to find a few dresses. Great success! Then, I had the best evening with Keith and Sachi showing me around Melbourne but I felt that we were hopping around Europe eating Greek for dinner and then Italian for dessert. They made sure we ended up back in Australia at a Melbourne institution, the Supper Club which was the coolest place I visited. The Supper Club is similar to the Patterson House in Nashville in that it’s so discreet you have to know the place or you would just walk right past it on the street. That’s what happened to Keith the first time he was to meet friends at the Supper Club! He was getting very upset because he was standing outside the place but had no clue where it was. Thankfully he vocalized his frustration of where the location of the Supper Club could possibly be and a passerby pointed to the unmarked door right behind him. Jess and I reunited on her birthday! Jess and I worked on the JET Program together and I came back to Japan for a visit in 2011 while she was still on the program but we could only meet up for a quick group dinner. The last time we spent quality time together was when we were both on JET notably, four years ago on her 26th birthday. I came to Melbourne for her big 30th birthday bash and joked with her that the next birthday I can celebrate with her will be in four years! Meeting her family, boyfriend, and dear friends was really special. We had dinner, went karaoke, and then to a bar to wrap up the evening. While singing classic karaoke songs together, a flood of memories from Japan came rushing back. Jess was so sweet to include me in her birthday festivities! She is absolutely wonderful and I cherish her friendship and our shared love for Japan. If you have time to go to Melbourne while in Australia, you MUST visit. It’s really not an option being just 2.5 hours flight away from Brissie. Then, if you find yourself in Melbourne, do the Great Ocean Road Tour. Don’t think. Just do. You’ll thank me later. Feel free to comment or send me a private message if you have specific questions. I’ve now traveled to four states in Australia: Queensland, New South Wales, Victoria, and South Australia and look forward to exploring the final two, Western Australia and Tasmania. Stay tuned on my trek of Aussie states!